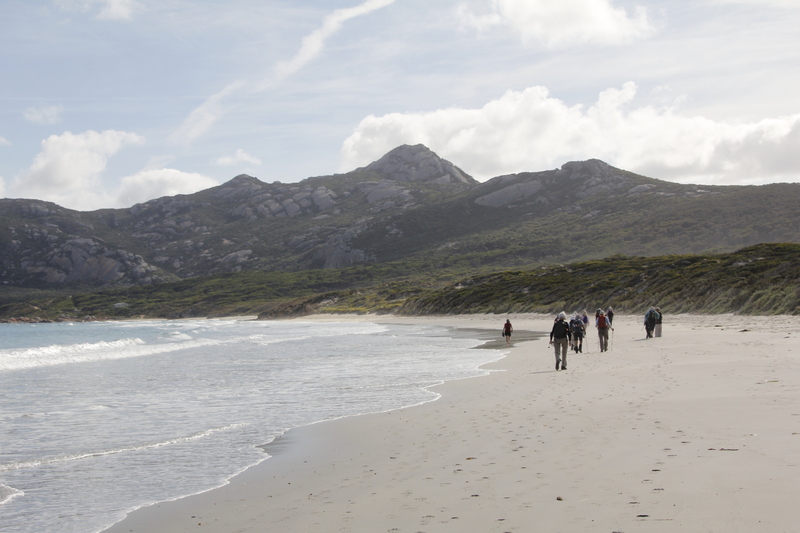 On March 12th twenty-two eager ARPA Bushwalkers arrived on Flinders Island for a week’s adventuring in this unique, wild and natural location. Our accommodation was Flinders Island Cabin Park and Interstate Hotel in the township of Whitemark. Daily expeditions, expertly planned and led by Jean for D walkers and Doug for B and C, took us to an interesting variety of scenic places such as Strzelecki National Park where forest grows in cracks in granite rocks. 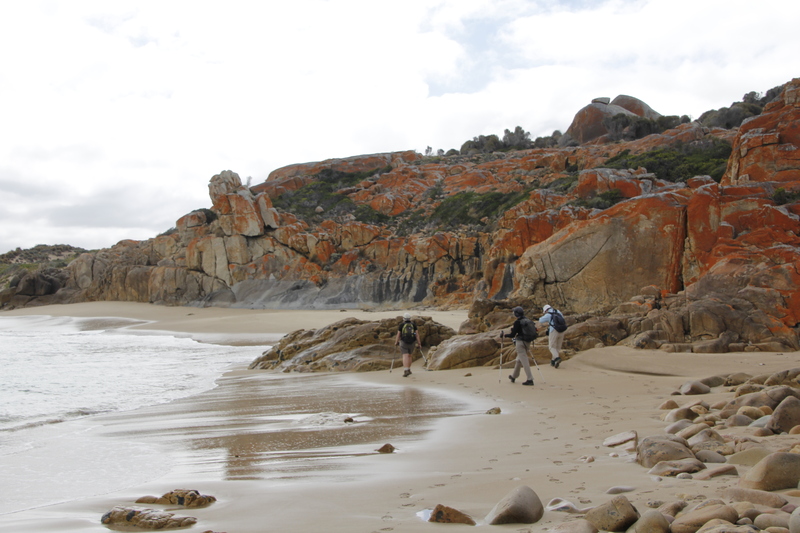 We walked in sunshine, wind and cloud on remote, pristine beaches at Fotheringate Bay, Sawyers Bay and Lillies Bay, relishing every moment of our time there. 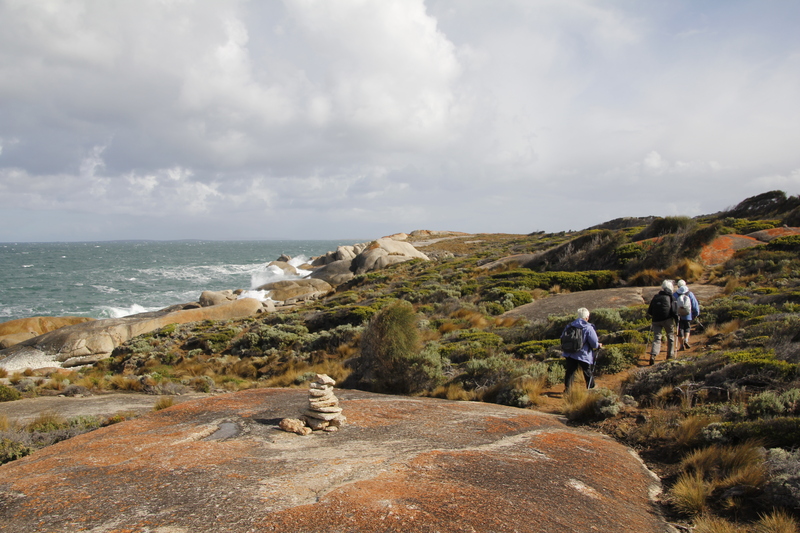 Furneaux Museum chronicles the history of Flinders Island. We viewed mutton bird sheds, old farm equipment, photos and artefacts of pioneer musical productions. At historic Wybalenna cemetery and chapel we explored gravestones of early pioneers and their descendants. A plaque marks the remains of an Aboriginal settlement there in the 1830s. Patriarch Wild Life Sanctuary had us walking through alpine meadows of tussock grasses, feeding wallabies and admiring an A-frame structure where nature observers can stay overnight. It had a Ritz standard bathroom, all for the cost of a coin donation. We visited Killiecranke, saw Palana where vegetated dunes frame the curve of soft beach and saw the North East River. We drove on long, white roads with hardly any other vehicles. 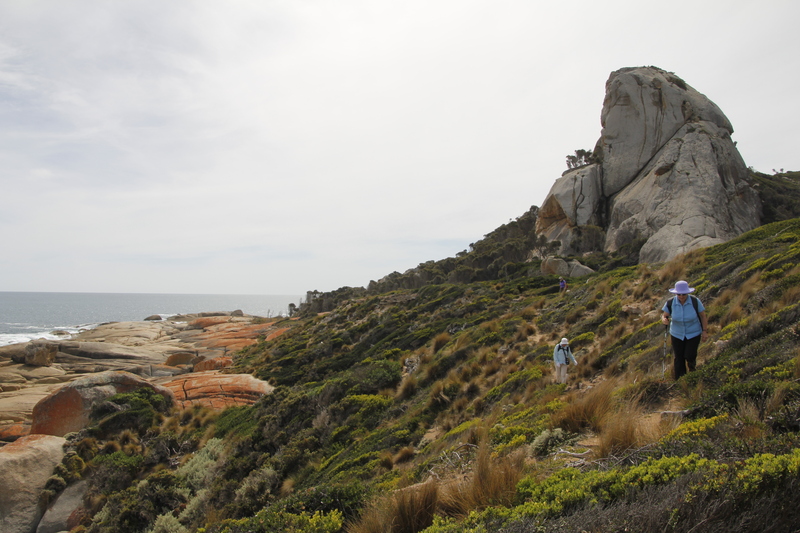 Flinders Island offers good walking tracks through coastal scrub. A shortage of signage meant maps were consulted to help us find our way. Many places we stopped for lunch had great picnic facilities and even rainwater tanks to refill water bottles. Coastal wilderness, changing vistas, a wealth of vegetation and wildlife, the absolute peace, silence and solitude were marvellous. Five days of walks with a lay day and happy hours to discuss the day and learn about the next, comprised a full programme. Phyllis shared local information and stories of growing up on her parents’ farm on Flinders Island. A resounding thanks and much appreciation to Jean for her overall master-minding of this wonderful camp experience and for the huge amount of work it entailed. In addition, thanks to Doug and others who drove our hire cars. 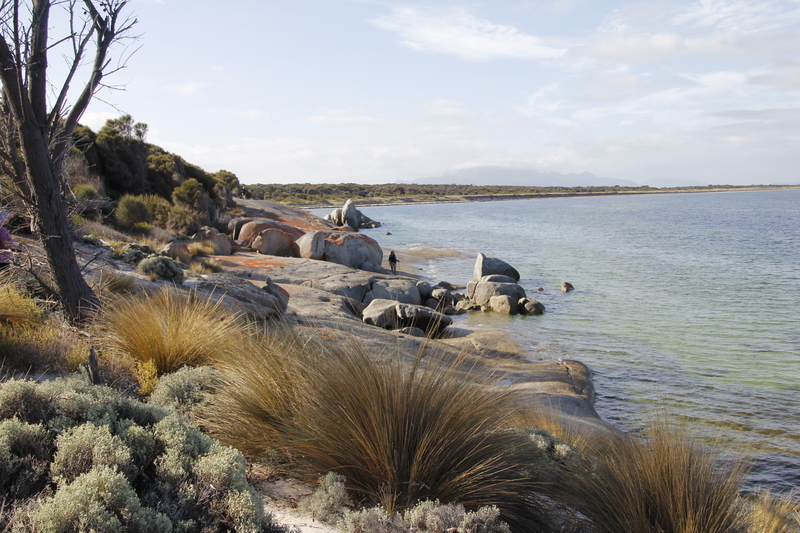 This entry was posted in News and tagged Flinders Island, Strzelecki National Park by Chris. Bookmark the permalink.